You know her as Elizabeth Shaw, the intrepid scientist we met in Ridley Scott's Alien prequel Prometheus and glimpsed in flashback (and, er, possibly other forms, though we don't want to spoil anything) in its follow-up installment, Alien: Covenant. But the woman who plays her — Swedish actress Noomi Rapace, she of the piercing dark eyes and musical accent — has been ubiquitous in the movies since her breakout in 2009. Here are all the places you've seen her before. Thanks to director David Fincher and a $90 million Hollywood budget, you've probably heard of The Girl with the Dragon Tattoo — and its titular protagonist, the heavily-inked, computer-hacking, ice cold badass Lisbeth Salander. But two years before Rooney Mara earned an Oscar nomination for playing Stieg Larsson's heroine who teams up with journalist Mikael Blomkvist to unravel a decades-old disappearance and uncover a killer hiding in plain sight, Noomi Rapace played the role to great acclaim in her (and Larsson's) native Sweden. With an asymmetrical jet-black haircut, multiple piercings, and a studded leather wardrobe that would make the average Hot Topic employee pee in his pants out of sheer envy, Rapace was the ultimate not-so-manic pixie goth girl; in fact, it's unlikely that Lisbeth Salander would have ever gotten a big-budget outing in mainstream Hollywood if the Swedish actress hadn't turned in such a stunner of a performance first. 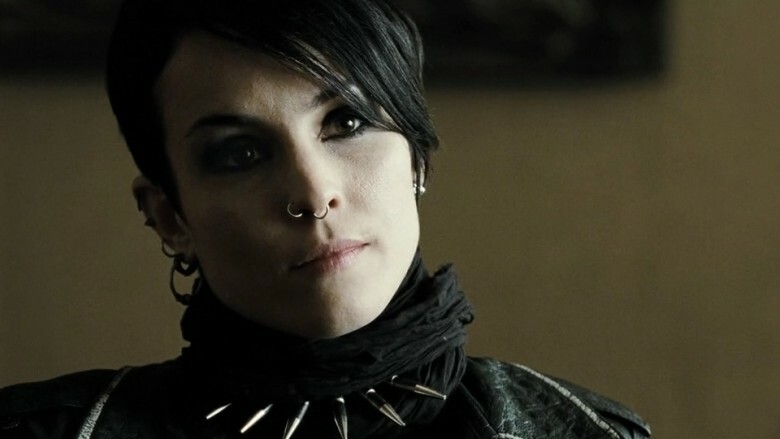 Noomi Rapace reprised her role as Lisbeth Salander in both these movies, which earned an originally-unplanned theatrical release after the first film became a runaway hit — and again, her performance was everybody's favorite thing about them. 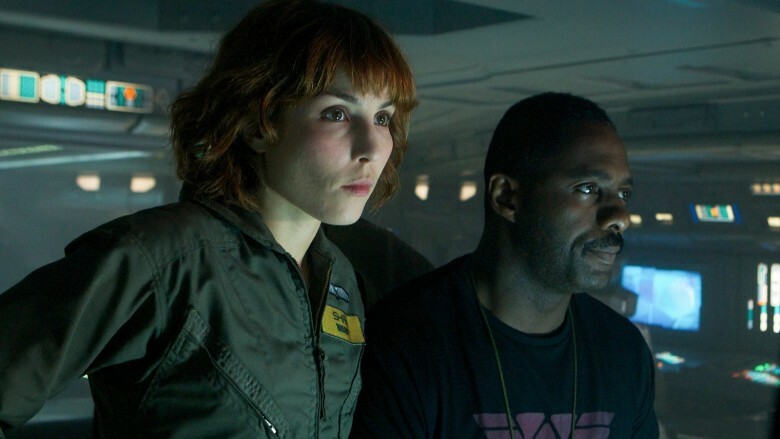 Roger Ebert's review was a top-to-bottom lovefest for Rapace, concluding with a killer compliment: "This uptight, ferocious, little gamine Lisbeth has won our hearts, and we care about these stories and think there had better be more. The funny thing is, I've seen the 'real' Noomi Rapace on TV, and she has a warm smile and a sweet face. What a disappointment." When we say you might know Noomi Rapace from her roles as Lisbeth Salander, it's no joke; a full one third of her best-known projects involve playing the tattooed hacker, including this one. Millennium, a six-part miniseries which originally aired on Swedish television, is technically an extended cut of the The Girl with the Dragon Tattoo film trilogy (if you're looking for it in the U.S., you'll likely find it on Netflix in the form of a nine-hour mega-movie called Dragon Tattoo Trilogy: Extended Edition). But the theatrical release left so much material on the cutting-room floor that Millennium stands on its own as a unique dramatic work for the small screen. All told, Rapace spent a full year playing Lisbeth, a performance that resulted three feature films and six television episodes' worth of raw material. However, once she was done, she was really done. In an interview with NPR, the actress said, "[It] was kind of strange. You know the last day, after [we filmed] the last scene, all the producers came with champagne and everybody wanted to celebrate. And I just said, 'I need to go to the bathroom,' and I just started to throw up. It was like my body was physically throwing Lisbeth out." The Monitor is an understated slow burner featuring that creepiest of home appliances, the baby monitor. Rapace is memorable as a traumatized single mother who just wants to listen to her kid while he sleeps, but gets an earful of something sinister instead. For those who hadn't already discovered Noomi Rapace via the Dragon Tattoo trilogy (a minority of movie fans, thanks to the ubiquitous availability of The Girl with the Dragon Tattoo and its sequels on Netflix streaming), there was no missing her in her big-budget debut alongside Robert Downey, Jr. and Jude Law. Rapace played Madam Simza Heron in this sequel to Sherlock Holmes, channeling her trademark ferocity into the role of a Romani gypsy woman who gets caught up in a massive and deadly conspiracy spearheaded by Sherlock's archnemesis Moriarty. And her performance is impressive — not just because she manages to look amazing while riding a horse in a bowler hat (no small feat, y'all), but because she crossed a huge language barrier and became BFFs with two huge celebs to do it. "I didn't speak English like three years ago, and for me to find a way to be free and be able to live in this language… instead of [feeling] like you're stuck in this prison of control where you can do perfect lines but you can't improvise and you can't ad-lib — that was my biggest concern before we started," Rapace confessed, while doing media rounds for the film. "And after a week I'd forgotten about it. It's the way they work. Those boys are fantastic." Why does Elizabeth Shaw look so familiar? Because you've seen her before, of course — as in, Alien: Covenant isn't this character's first outer space rodeo. 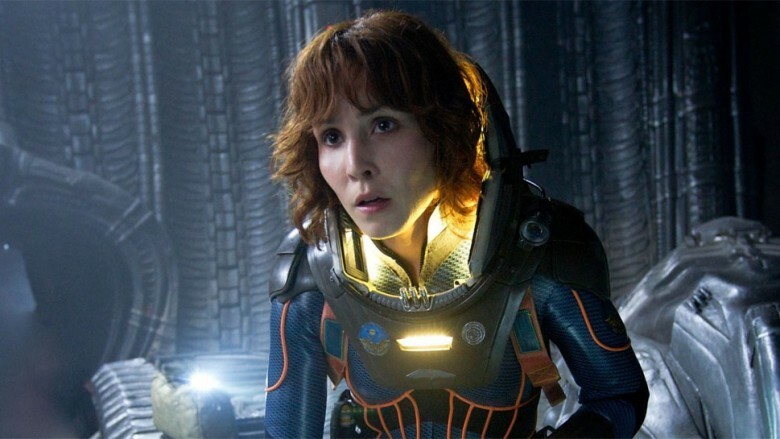 Prometheus, the Alien prequel that saw a group of scientists traveling across the universe in a quest to meet their makers, featured Noomi Rapace in her first outing as Shaw. 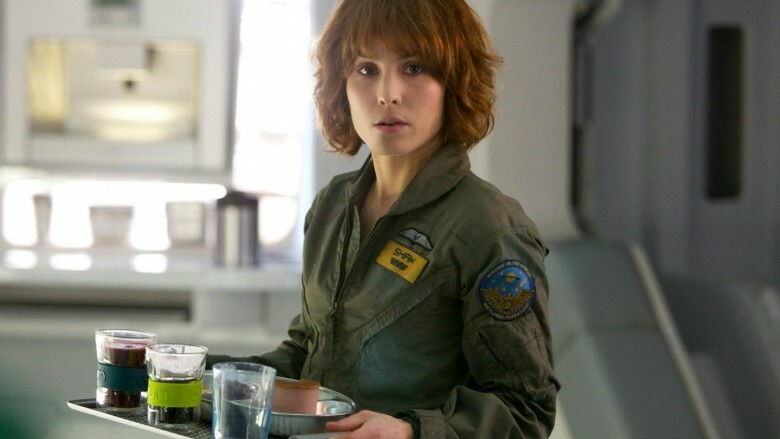 Although Prometheus boasted quite an ensemble cast, including awards-season regulars Charlize Theron, Idris Elba, and Michael Fassbender, Rapace's whip-smart and determined Dr. Shaw was an undeniable standout (and given her presence in Alien: Covenant, it's probably not spoiling anything to reveal that she ends up being the sci-fi thriller's own version of a final girl). From decoding the alien engineers' original message to giving herself an impromptu C-section when it turns out that she's pregnant with a carnivorous squid, Shaw rivals Sigourney Weaver's Ripley for the title of Queen of the Franchise. You might have noticed by now that Rapace doesn't mind really dwelling inside the same role for a long time — first as Lisbeth Salander, and then as Elizabeth Shaw. In addition to playing Shaw in Prometheus and Alien: Covenant, the actress stepped back into character for these video shorts, which never appeared on the big screen but made for delicious bonus content on the Prometheus Blu-ray. Dead Man Down was directed by Niels Arden Oplev, the man who helmed the original Swedish The Girl with the Dragon Tattoo — which explains why he was able to snag Rapace, who would have had her pick of scripts at this point, for this thriller. Dead Man Down had no shortage of talent on board; in addition to Rapace as a scarred woman with mysterious motives, it also boasted a cast that included Colin Farrell, Isabelle Huppert, Dominic Cooper, and F. Murray Abraham. Unfortunately, despite all that star power, the movie itself was roundly derided for being not-especially-good. A frustrated critic at Variety bemoaned Oplev's decision to direct it, saying, "[Why] follow it (The Girl with the Dragon Tattoo) up with such revenge-fantasy dreck as Dead Man Down, a derivative collection of brazen plot holes and latenight-cable cliches into which he drags 'Dragon' star Noomi Rapace?" Adapted by Dennis Lehane from his own short story, "Animal Rescue," The Drop is a quiet, poignant film noir about crime, vengeance, loyalty, love, and decent men who do very bad things in the basements of Brooklyn bars. And for Noomi Rapace, it presented a serious challenge: namely, having to hold her own onscreen against not just Tom Hardy (who'd just become super duper famous after doing Inception and The Dark Knight Rises back-to-back), but also the world's most adorable pit bull puppy. 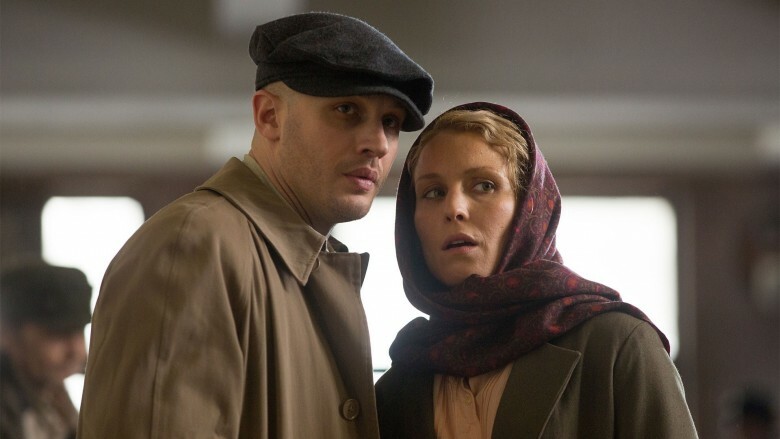 Perhaps thanks to her incredible chemistry with Tom Hardy in The Drop, Noomi Rapace turned up immediately in another movie with the British actor, this time as his wife in the Soviet-era thriller Child 44. In it, Hardy plays disgraced Stalin security officer Leo Demidov, who tries to track a serial killer against the wishes of his government overlords. Though this film didn't get as much attention as some of Rapace's other projects thanks to a limited release in the U.S., everyone turned in solid performances that made for a tense, effective political thriller… even if everyone in it struggles occasionally with their Russian accents.